In 2018 I spent more time outside New York than in, most of the time away spent in Bangalore in India and Bologna in Italy. I continue to experience a shift in the way I eat: I’m much less interested in fancy meals, and most of my meals were simple. I did eat some fancy food, and most of what I ate didn’t make it here, the one exception being Pesca in Lisbon. Using Foursquare’s API I was able to determine that I have been on airplanes at least 44 times this past year, almost all of them intercontinental. At least 16 of those were from or to JFK in New York, at least 12 were from or to BLR in Bangalore, at least 8 were from or to BOM in Bombay, at least 7 were from or to BLQ in Bologna, 6 from or to LHR in London, at least 4 were from or to SFO in San Francisco, at least 2 from or to LGW in London, at least 2 were from or to GOI in Goa, 2 from or to LIS in Lisbon. Most flights were on British Airways, at least 12. While I love traveling, and it’s inevitable, I would like to travel much less in 2019. I would like to spend more time in New York, my home, a city that I’m increasingly finding myself lucky to be living in. My mum’s food is some of tastiest foods I am lucky enough to experience each year. When I’m home in Bombay she’d always make a delicious spread that often includes fish in some form (cutlets, fried, or curry), dal (lentils), saag paneer (spinach and paneer), and various accoutrements. One fine Sunday morning Samiah and I ventured into Malleshwaram to walk around the neighborhood, but just as much to start our morning at Veena store. Perpetually crowded with locals and tourists, especially so on weekends, I think people may have originally flocked to Veena Stores for the food but have come back for the experience of now waiting in line and procuring the (still) delicious food, which has become an end in itself, one that’s quite satisfying to me on an otherwise quiet morning. Lot of people are going to tell you there are better idlis and (no doubt) vadas in Bangalore, but the experience of eating here also includes the scents of steamed rice and filter coffee, the condensed buzz of people punctuated by the chirping of birds and occasional honks. I was a very happy boy in Bangalore. When I’m in Bologna, my breakfast almost always includes good bread topped with Stracciatella, drizzled with olive oil. I normally get the Stracciatella from Formaggeria Barbieri in Mercato delle Erbe, and the bread from Forno Brisa. My Bolognese routine also includes wood-fired chicken leg from Pollo Mino in Meracto delle Erbe. Marina introduced me to this little secret one rainy Saturday morning at Mercato Ritrovato, not far from MAMbo. The namesake of the soup is Stefano Fogacci, the jovial man behind Agriturismo Tizzano in Modena. Made with potatoes, different kinds of beans, chestnuts, sausage, topped with grated cheese made from Modenese cows, it’s wonderfully comforting on a cold day. Marina is a light-weight when it comes to rich food, so I happily finished her unfinished portion for her. I had never eaten this specialty from México’s Sinaloan region until my friend Peter discovered it via Eat The World. At first sighting I was expecting the braised pork in our rather large plate of chilorio to be oily, meaty and perhaps a little sweet, but it was none of that. Ligaya Mishan’s review does this dish justice and I can’t think of better words to describe it: the chilorio as a whole is a textural pageant, but the pork in itself has textural contrasts which I thought was especially wondrous. 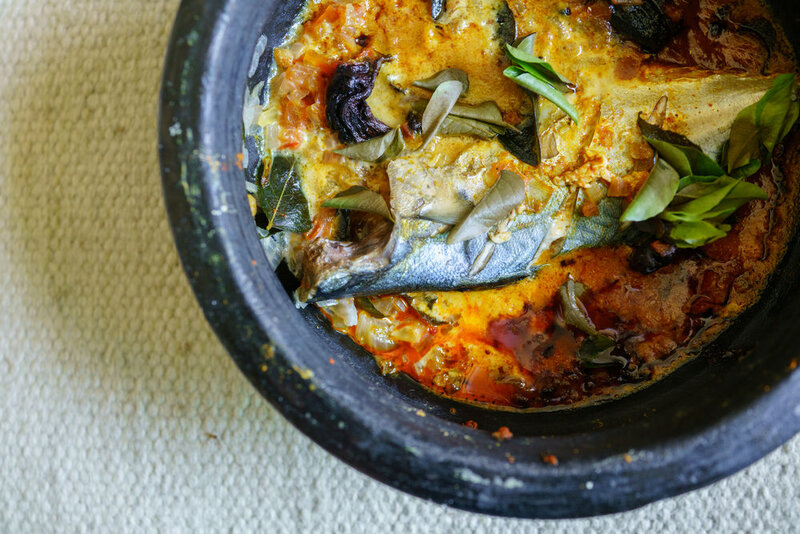 The assortment of chiles, and slow braising in lard make for a complex flavor, particularly good with the friend-to-order tortilla chips and pinto beans. One of my favorite afternoon snacks is to eat some sourdough drenched with gianduja: chocolate and hazelnut spread. I had my favorite, Papa dei Boschi, but this time I also discovered extremely good gianduja from Oggi Gelato, right outside Mercato delle Erbe, on Via Ugo Bassi. 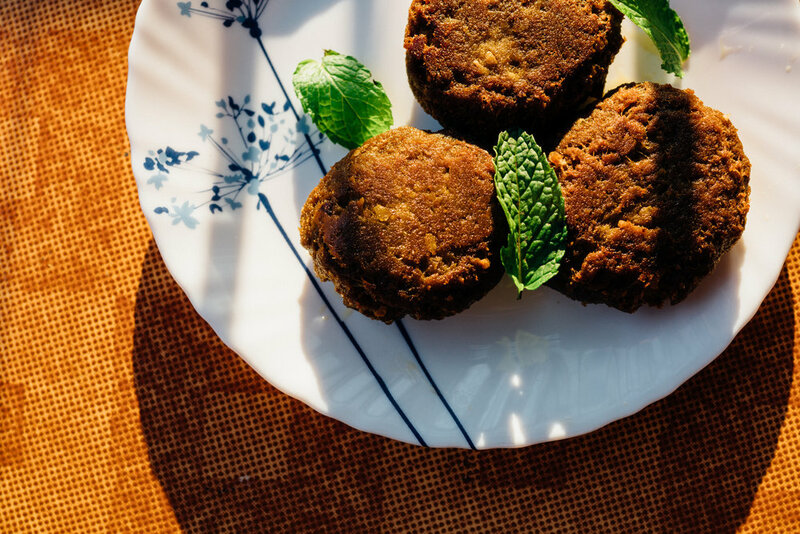 Shikampur kebabs are typically made with minced mutton, but Samiah here used beef. The minced meat is cooked with spices and the appropriate amount of fat. Individual patties are then stuffed with a yogurt-based stuffing. This is quite an involved recipe and it took Samiah a greater part of the day to make them, but wow, they are incredible. We enjoyed this in the evening Bangalore sun in Kalyan Nagar, until they ran out. According to my dad the dosas at MTR aren’t what they are supposed to be, they’re too rich, but no matter, I love their crispy-thick dosas. 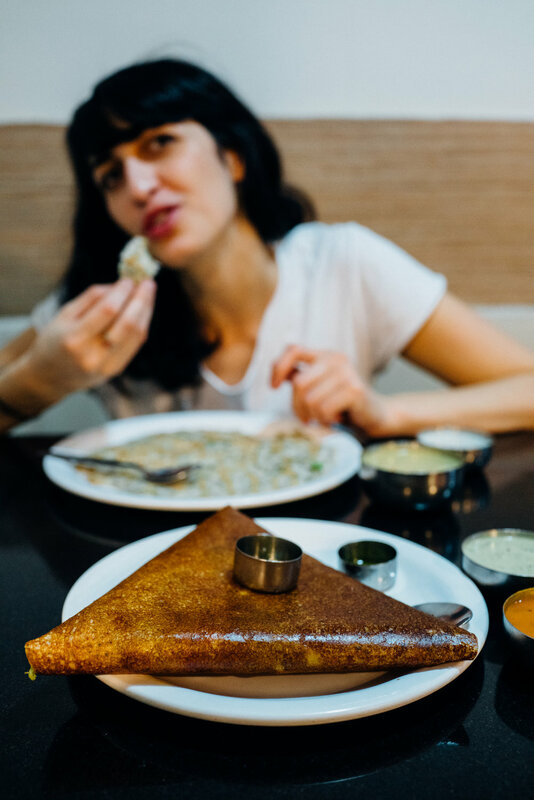 My memory of these dosas were made sweeter by sharing the table at MTR, at different times, with my brother, and Maria Elena. I almost always went to the MTR location in Indiranagar. I hadn’t spent an entire summer in India in years. What a treat! I ate alphonso mangoes each day of the summer that I was in the country. Beetroots just never occur to me, but Rajamma’s beetroots have a special place in my heart. She boils beetroots whole, then dices them, then sautées in coconut oil and several spices. Just before serving she stirs in home-roasted, ground peanuts. This was perhaps the most chaotic kitchen I have seen in recent times. 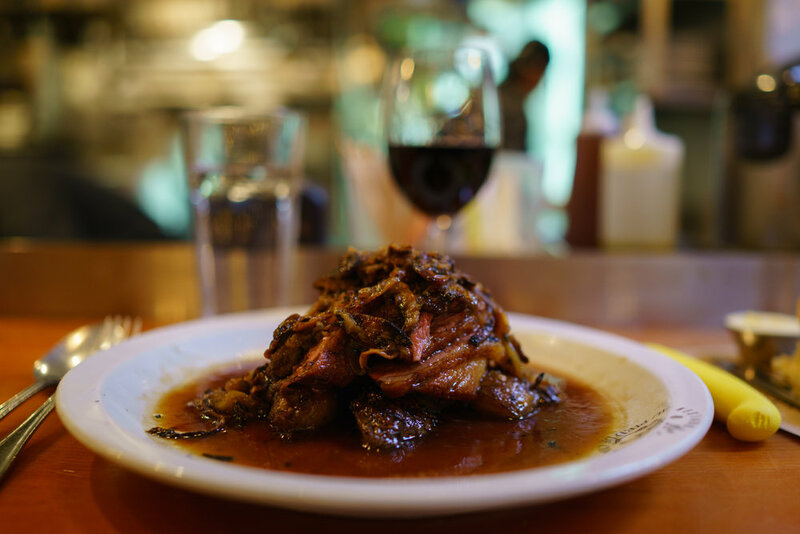 The jus was aromatic and very thyme-y and the wood-fired duck was cooked wonderfully. Overall the dish lacked balance, veering toward the sweet, but I enjoyed this nonetheless, probably because it was one of the tastiest breaks away from Indian food I had had in several weeks. This summer I was lucky enough to eat Maria Pia’s exceptional, made-from-scratch, tortelloni with chard and ricotta, simply cooked with butter and finished with 30-month parmigiano procured locally in Modena. Predictably, she also gave me some to take home, which I made for my lunches in Bologna the following days. Beautiful heirloom tomatoes from Toigo Orchards picked from Carroll Gardens Greenmarket with burrata from Lioni, finished with excellent Italian olive oil and Icelandic arctic sea salt. This, for me, is the quintessence of an edible summer. Abraço’s Olive Oil Cake has been one of my favorite cakes for many years now, even before I moved to New York many years ago. When Tori visited me recently, she arrived with many home-cooked goodies, one of which was an olive oil cake using this Mialiano-inspired recipe. Few days later, I made the same recipe using a loaf pan. I paired this crackling-crusted, moist cake with Maria Pia’s homemade amarene, which was to become my coffee accompaniment for several days. Maria Elena and I were so excited about going in to Galleria Borghese to admire the works of Canova, Bernini, Caravaggio and… Picasso. But making ourselves a simple picnic of olives, burrata and friselle with some decent wine while the sun bathed us, before we were to experience so much beauty… can you imagine? A risotto made using quinoa, shrimp, cockles, muscle, whitefish, seaweed, with an Oyster foam and kombu. The Tagus flows through Lisbon and opens into the Atlantic ocean. Eating this at lunch was like bathing in that ocean. Chestnuts are my one of favorite autumn snacks in Europe. I enjoyed snacking on these in Bologna, Rome and Lisbon, always precisely at times I wanted them most: when it was cold, and I was peckish. In Lisbon I ate these for Euro 2.5 for a bag of around 8, they were slightly more expensive in Bologna and Rome. Pesca was an unexpected surprise during my visit to Lisbon. It was so good I ate here twice. 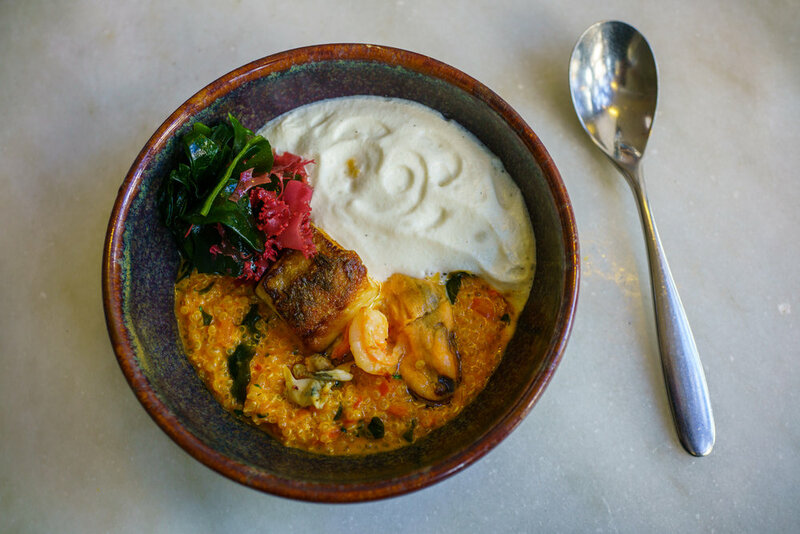 The food is roughly seafood focussed (naturally), creative and was mildly reminiscent of the style of chef Richard van Oostenbrugge while he was at Restaurant Bord’Eau in Amsterdam: making an ingredient taste more like itself. It’s tremendous. Korean blood sausage, or soondae, is one of my favorite foods. I hadn’t been to Insa all year long, and one rainy December Sunday, Chikako, Peter, and I made an impromptu late lunch visit. The soondae, as always, was fantastic. 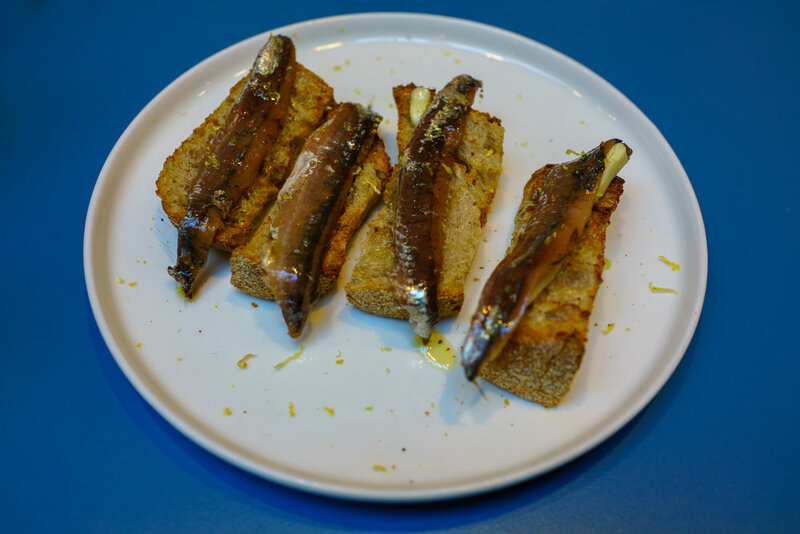 Homemade sourdough is lightly toasted, then topped with solid butter (this is important), then draped with anchovies from the Amalfi Coast, and lightly garnished with lemon zest. So simple, so memorable. Both times I had this was in the winter, in February this year, and then in December.